I knew that grieving would never be easy, but I wasn’t prepared for how lonely in grief I was and how hard it was to move past that feeling. Have you lost someone close? Our relationship with our passed loved ones is unique. No one else knows that connection completely and so no one else grieves in the same way. This can make it seem like we’re totally alone. Have you felt that way? Sometimes it seems everyone else has moved on, and we’re standing back still grieving, still crying, still searching for purpose, the only ones left who grieve. That’s how it feels, anyway and it’s so lonely. And of course, we miss our loved ones physical presence. Their absence swirls around us, grabbing a hold of us. It can seem that their absence chokes the very air out of us. When the person we lost was the one (main person) who saw us, knew us, and loved us completely, their absence can take an even harder toll. Surrounded by people in a crowded room, we’re lonely. In the middle of a family celebration, we’re lonely. Grieving can be the most lonely thing of all. If you’ve found yourself here, lonely in grief, I want to share a few things with you that I learned throughout my grief journey. 1. Read your Bible – you’ll always find comfort there. Learn about God’s promise of everlasting life and how He’ll never leave you alone. 3. Join a support group – whether in person or online, find a support group to listen and share your journey. Having others who have gone through similar grief helps you feel not so lonely. 4. Show up to help – the first part of this is to stay active in your church. If you don’t have a church, please try to find one. A church family benefits us in so many ways. The second part of this one is to participate in any mission or service projects you can. Helping others will help you feel purpose which is something we often lose in grief. 5. Pray – every day take time to talk with God and then spend time in the quiet listening to Him, too. I made a mistake when I first started trying to talk to God, and I talked at Him frantically. I think that was okay, though, because He was patient, and I learned to slow down and to listen. That’s when I began to feel Him with me, and I promise you that once that happens you won’t feel lonely. Dear Friend, the loneliness will come and go. I can’t promise you otherwise. We feel lonely for two reasons: our loved one is physically gone, and no one else knows how we feel. We tell ourselves it’s time to move on. That we need to get over it. But it’s a process we’ll never quite over. Instead, we’ll move through it and with the Lord by our side teaching us His promises and filling us back up with passion and joy, we will be okay again. As you journey through grieve, give yourself grace. You have permission to grieve and don’t have to hurry through it. Write to me if you feel lonely in grief. I’m not a certified counselor, but I’m a friend who’s been there and can listen. I’m praying for you, Friend, with all God’s love. Amen. 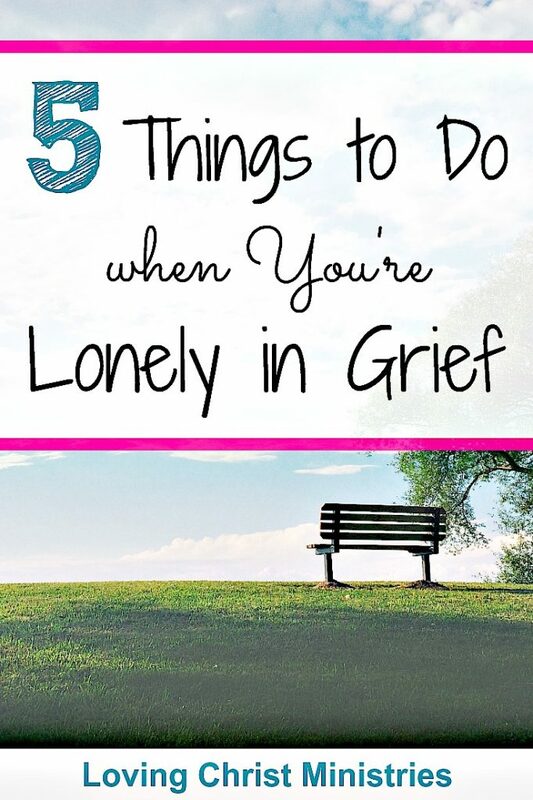 These are excellent actions to take to help get through grief. Loneliness too. When you want others to reach out, try reaching out. Often your need will be filled as you fill someone else’s need. Simply helpful and profound. Sharing this with some friends who need it. 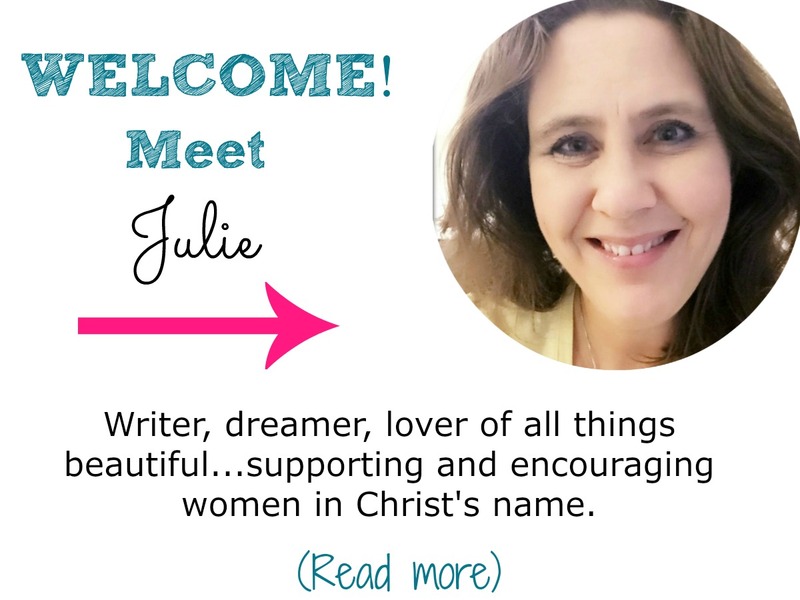 Such powerful truths in this post, Julie! These are great ways to help sooth our wounds of grief. Griefshare is another program that has greatly helped my family when my dad passed away. 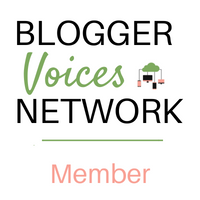 Thanks so much for linking with #BVN! Great practical tips, Julie! Thanks for linking it at #BVN!